Durban - The potential loss of Pieter-Steph du Toit pending a diagnosis from the specialist is a huge blow to the Sharks’ fortunes, the union announced via their official website on Monday. 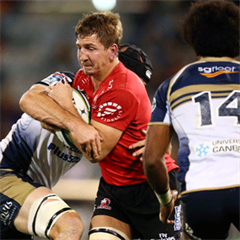 Du Toit, 22, had to leave the field in the 37th minute of the Super Rugby clash against the Cheetahs on Saturday, won 27-10 by the Sharks. He will be seeing the specialist who operated on the same knee previously, in Cape Town on Monday. The hope is that it is not a re-rupture of his ACL and a confirmed diagnosis will only be made after seeing the specialist. “We as the Sharks family, and I’m sure South African rugby fans at large, are hoping that his injury is not as bad as originally feared,” said Dr Alan Kourie. This comes after the supersport.com website reported on Monday that Du Toit would be sidelined for the entire season. In better news, lock Etienne Oosthuizen resumed training with the team on Monday. 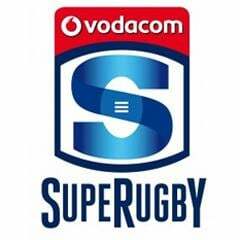 Willem Alberts has a hamstring strain and is out for approximately two to three weeks while fellow loose forward Tera Mtembu suffered cartilage damage to the knee. He is seeing a specialist on Monday to determine treatment plan in conjunction with the Sharks medical team. Stephan Lewies is still out for approximately four weeks, and recovery from knee and shoulder surgeries is on track. Similarly, centre Paul Jordaan is progressing well and his recovery is on track. Ahead of the their next match, Sharks Director of Rugby, Gary Gold said: "There were plenty of positives for us to take away from the Cheetahs match and the team will definitely be looking to build on that momentum going in to the clash against the Chiefs this weekend. “They are a champion side who are on a winning streak and we are under no illusions about the enormity of the challenge that lies ahead on Saturday."